Two Big Green alumni made their attempts for Team USA spots in the only two finals of Day 1 – Ben True (2008) in the 10km and Adam Nelson (1997) in the shot put. The men’s 10km went off at an easy pace, and True settled in the middle of the pack in 10th place. The US Olympic Trials Marathon champion Galen Rupp was in the front, controlling the race pace by varying the speed on each lap. Ultimately, this broke up the field by 2,200m as Rupp, Bernard Lagat, and Shadrack Kipchirchir broke away while True hung back in the chasing pack, sitting in 7th place overall. Some extra drama occurred around 8km into the race as Lagat and Eric Jenkins – both who were ahead of True – dropped out. 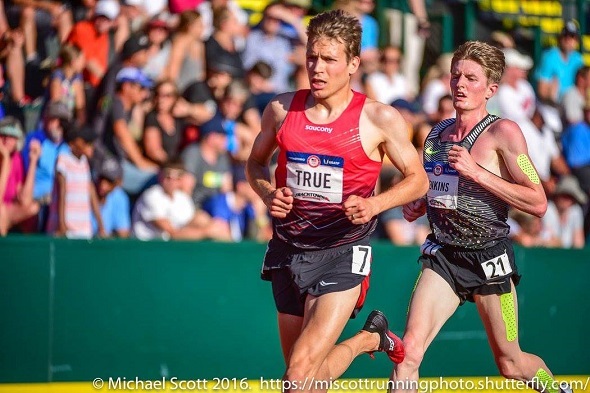 Unfortunately, all of the surges that Rupp made during the race made up too much of a gap on True as True finished way back 11th place in 29:04.21. Rupp, Kipchirchir, and Leonard Korir claimed the Team USA spots for the 10km (Scott Fauble finished in fourth place, should Rupp decide to focus soley on the marathon in Rio). After the race, True admitted to Letsrun.com that he felt terrible during the race but wasn’t sure why (perhaps the heat, perhaps just the shock of running the race). Check out a more detailed race recap and True interview with Letsrun.com here. Fortunately for True, the 5km is his stronger event and he will have a second chance to make the Olympic team next week. 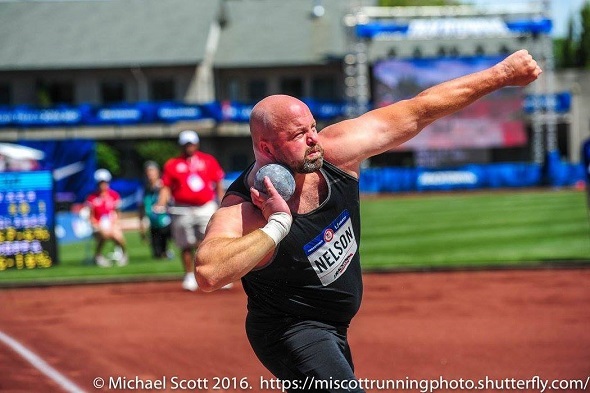 While Nelson made it to the shot put finals, his bid for a fourth Olympic team did not come to fruition. Despite getting a blank slate at the start of the finals, Nelson only got one legal throw in – a 20.17m (66-02 1/4) distance on his first throw. It placed him seventh at the end of the competition. A 71-foot throw would have been needed to make Team USA this time around. Ryan Crouser, Joe Kovacs, and Darrell Hill will head to Rio. This entry was posted on Friday, July 1st, 2016 at 9:08 pm. It is filed under Olympics, Spotlight. You can follow any responses to this entry through the RSS 2.0 feed.